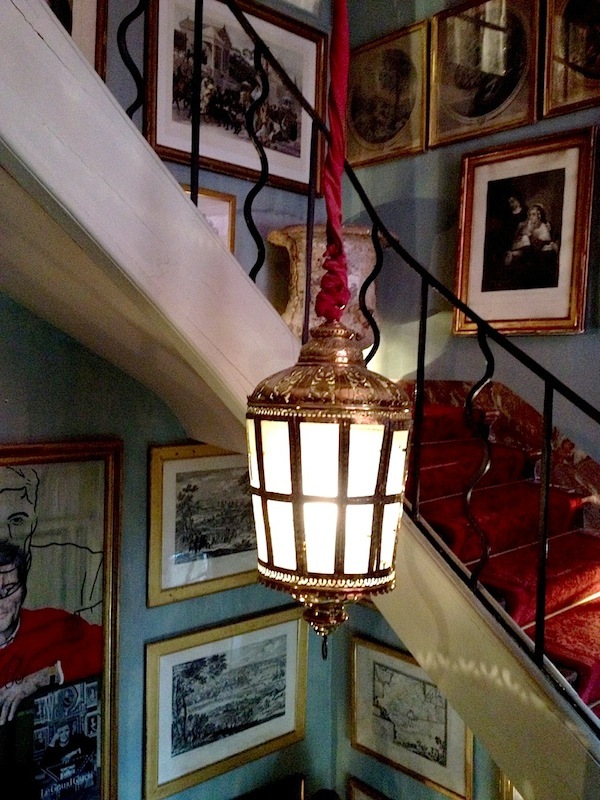 While his design career was launched with such contemporary projects as the Montparnasse Tower and the Meridien group of hotels, Jacques Garcia has been an avid antiques collector since childhood. 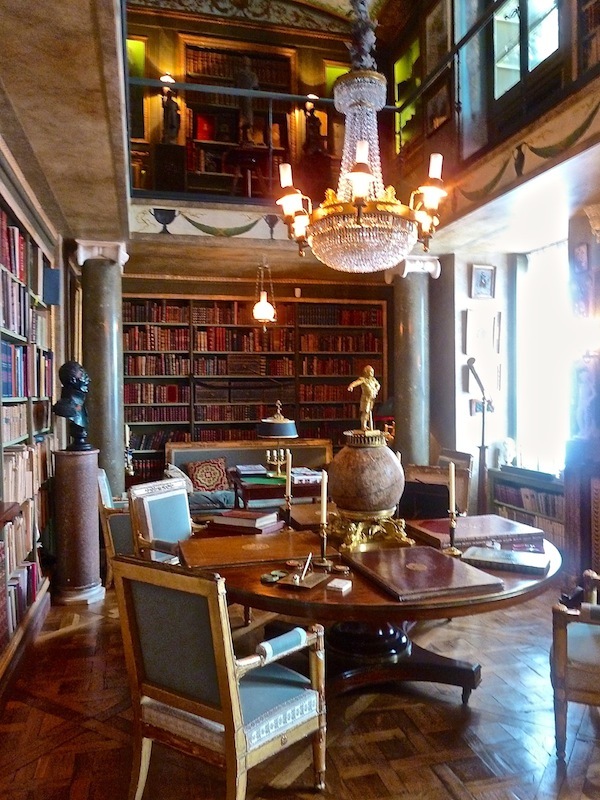 Focussing primarily on the 17th and 18th centuries, he amassed an impressive collection including many royal pieces of furniture, art and objects. His natural propensity for grandeur started early. Growing up in Normandy, each day on his way to school he would pass a derelict chateau, then being used as a hospital. 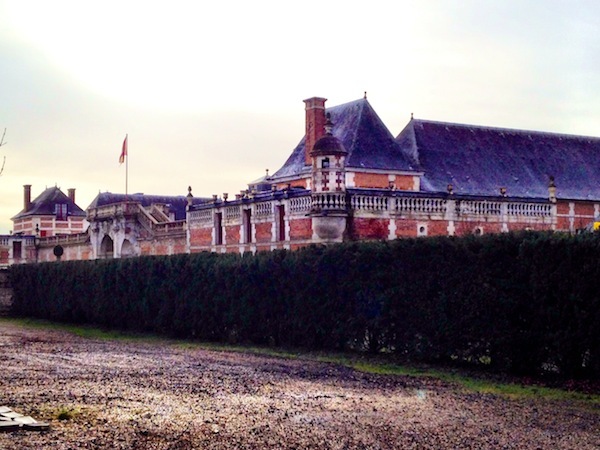 He told his mother that some day he would live there, so when Château du Champ de Bataille, by then long neglected, came up for sale in 1992, it was destiny that he should buy it. 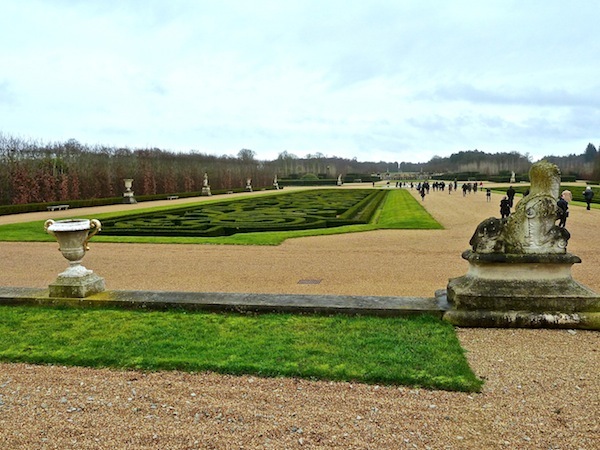 Commissioned in 1665 by the Marquis Alexandre de Créquy-Bernieulle following his exile to Normandy by Cardinal Mazarin, it is a Baroque masterpiece very possibly designed by Louis Le Vau, the architect of Versailles and Vaux-le-Vicomte. 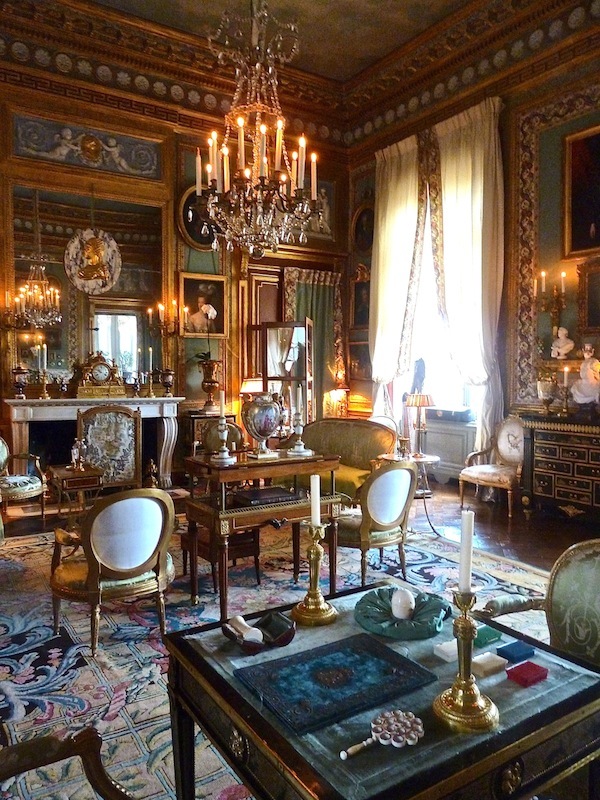 Garcia’s renovation of the château was executed over the course of ten years and now houses his exceptional collection of paintings, sculptures, porcelain, silver, and furniture. 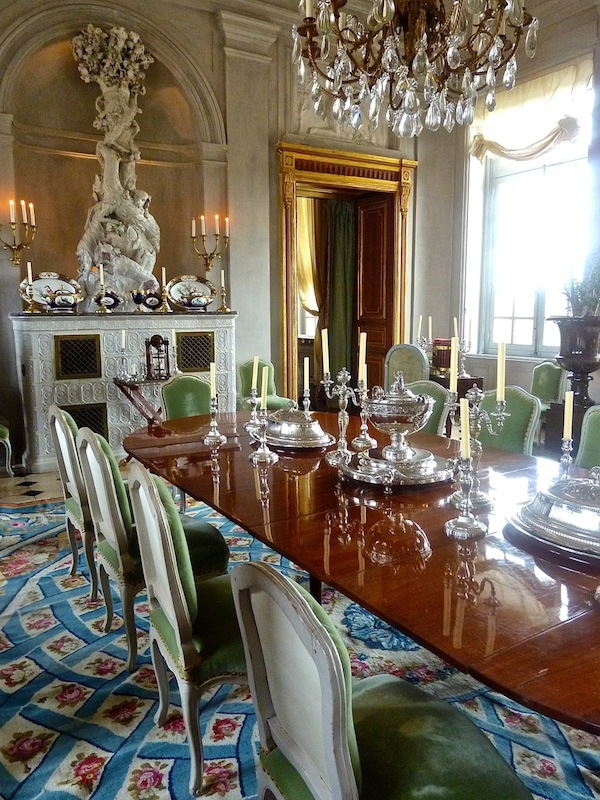 Last week, I was honored to be included on a rare private tour of the château sponsored by Baker Furniture, whose latest collection of Garcia’s was presented at High Point last fall. Even though a rather dismal day, the drive through the Norman countryside was a delight. 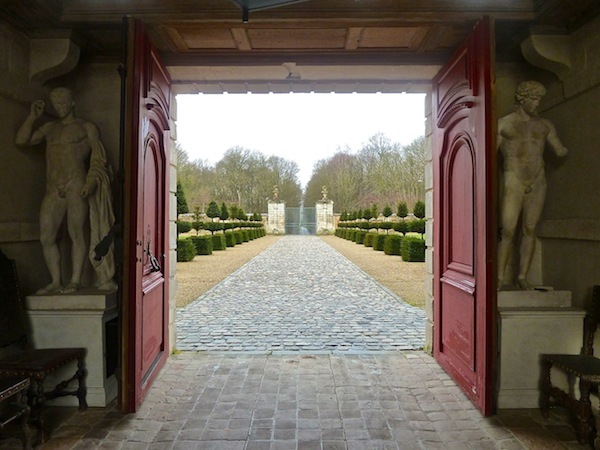 The formal entry is flanked with a row of shaped topiaries leading to a vestibule furnished with a mix of rustic pieces. 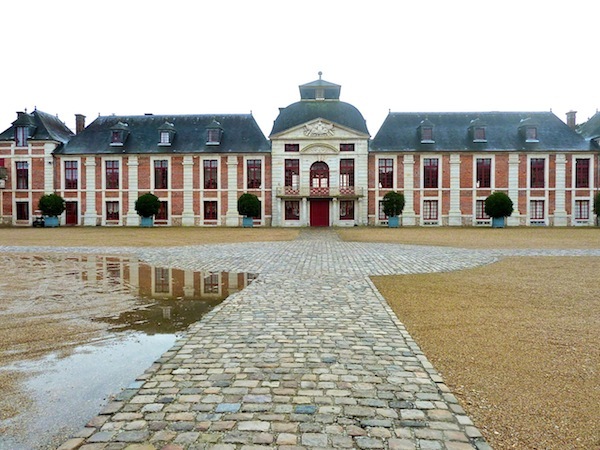 Across the courtyard is the main entry to the château showing in the center, the pediment of the stable block facade and Palladian window treatment. Once inside, Mr. Garcia met us in the Hall of Honor to begin our tour. 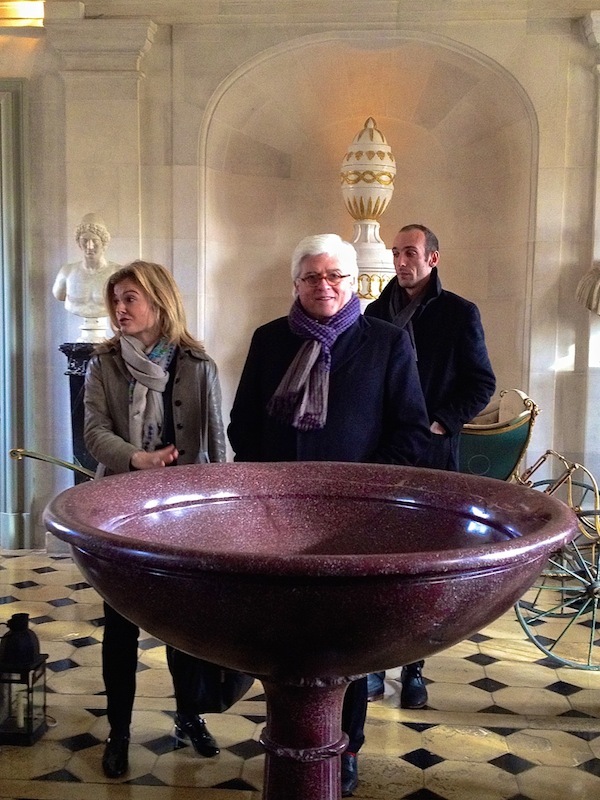 An eclectic assortment of antiques was an indication of the catholic collecting proclivities of the château owner. 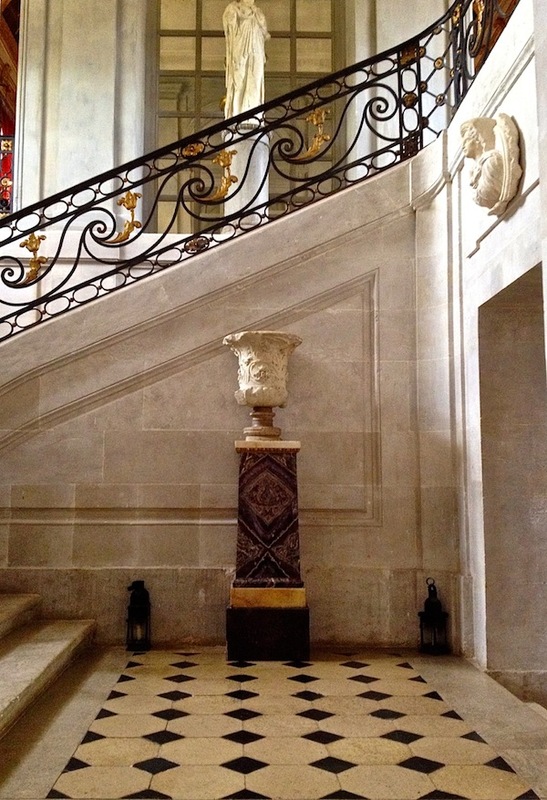 This opened to the grand staircase with its beautiful limestone and elegant metalwork balustrade, refurbished by the duc de Beuvron under Louis XVI. 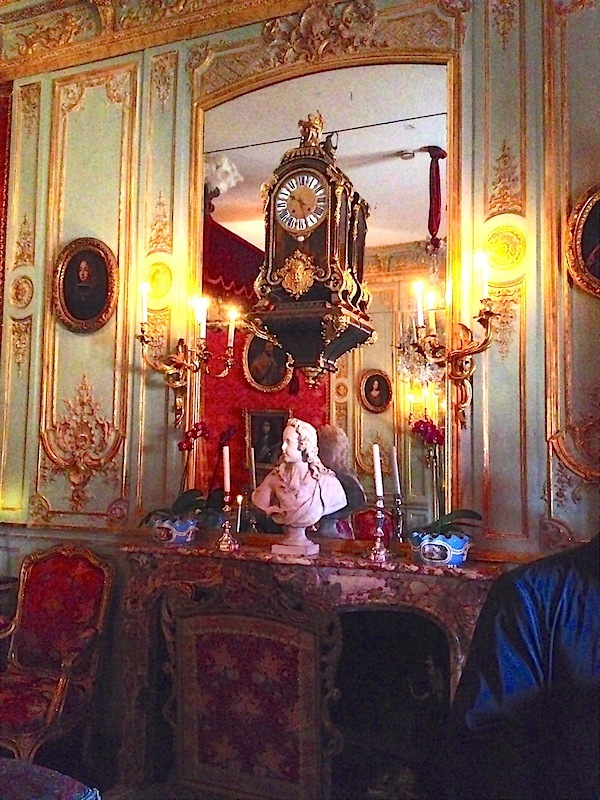 Upstairs, on the main floor, we were greeted grandly by the overwhelming splendor of the Hercules Salon. An over the top baroque fantasy, it revels in the exuberance of the era. 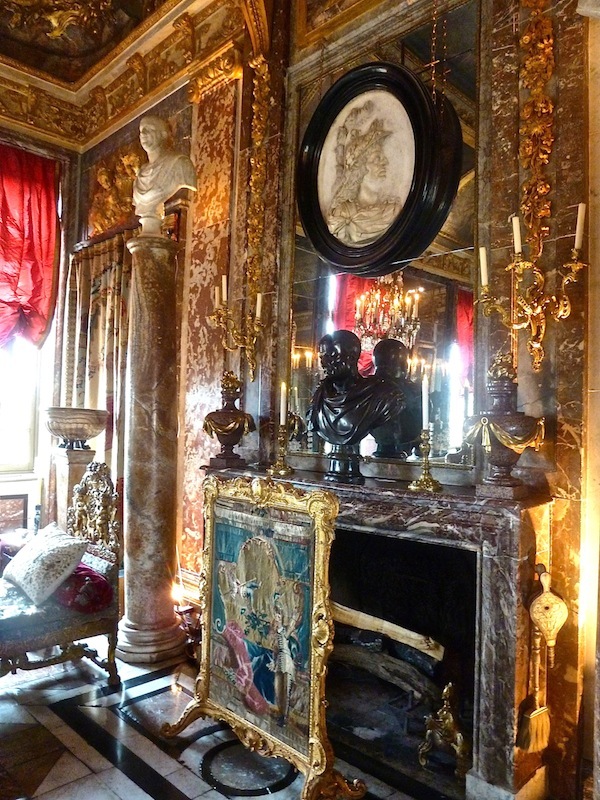 The classic taste of Louis XIV is expressed in the marble marquetry floor (which if I remember correctly, was rescued from Versailles during earlier renovations) and is echoed in the Roman sculptures and painted ceiling depicting the story of Hercules. 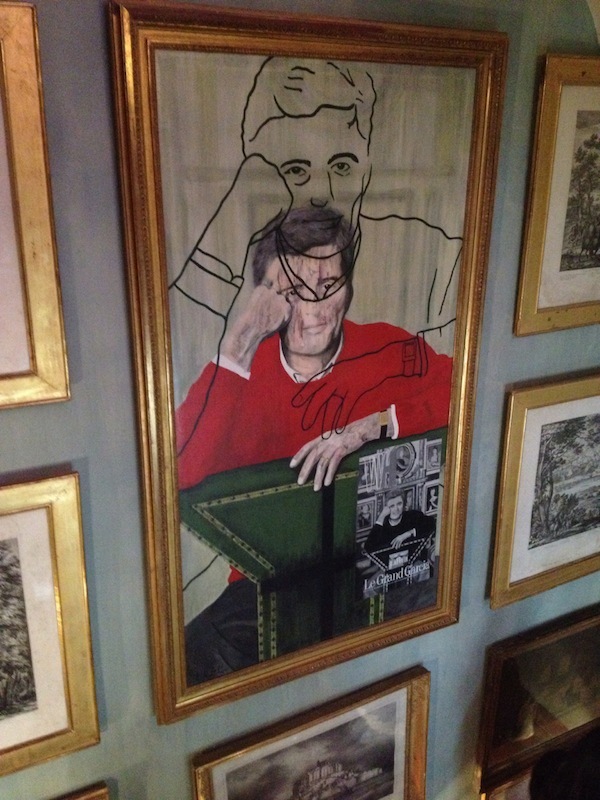 Over the mantel, a portrait of the king. 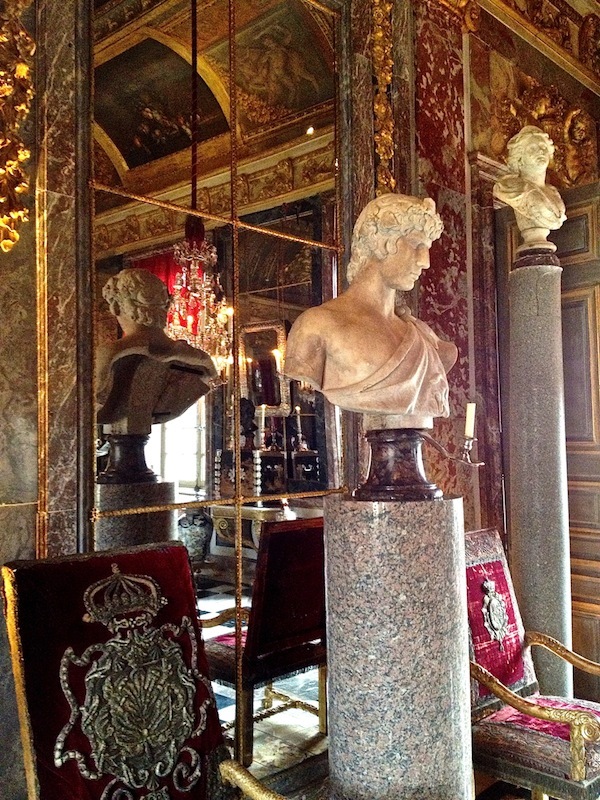 The bust in front of the mirror is reputedly a Michelangelo. Within our somewhat crowded group, it was difficult to get a good shot in the King’s Chamber, but it features beautiful wood paneling attributed to Verberckt. 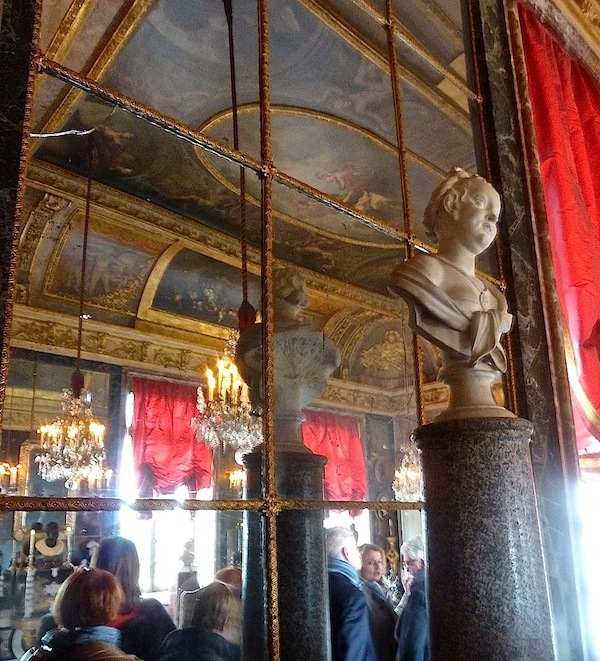 And on the mantel is a marble bust by Coysevox (a court sculptor known for his decorative work at Versailles) of Louis XV at age 7. 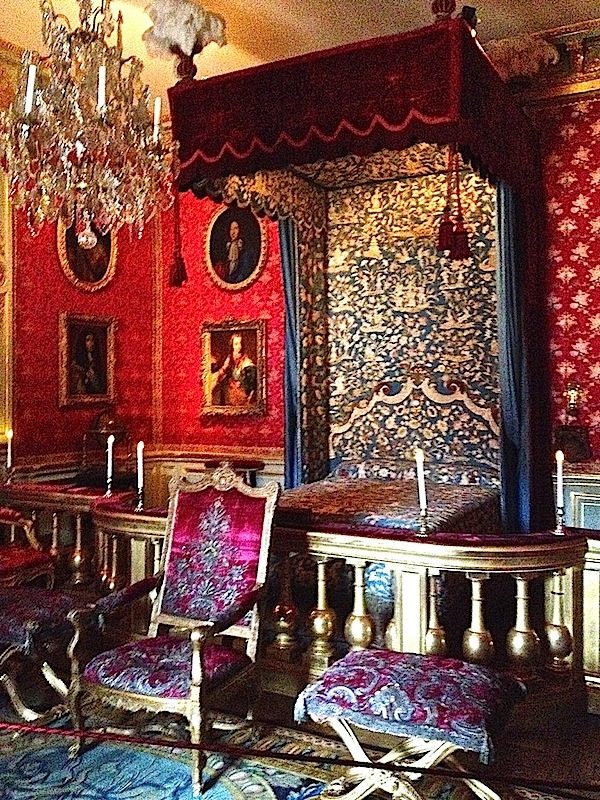 The bed is covered by splendid Chinese embroidery from the time of Louis XIV, similar to one described at Versailles. 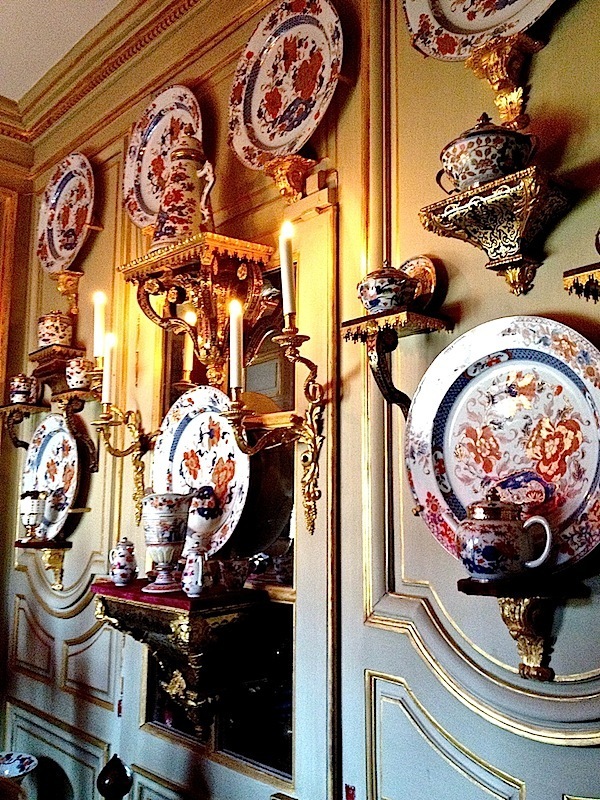 A small passageway with similar boiserie features a wonderful collection of Imari from the 17th and 18th centuries. 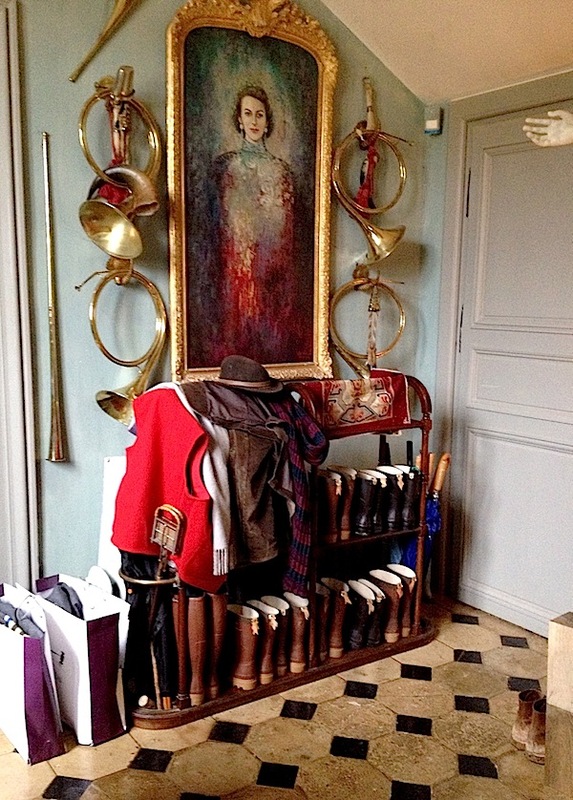 Artfully displayed, it includes a wide variety of shapes and pieces. 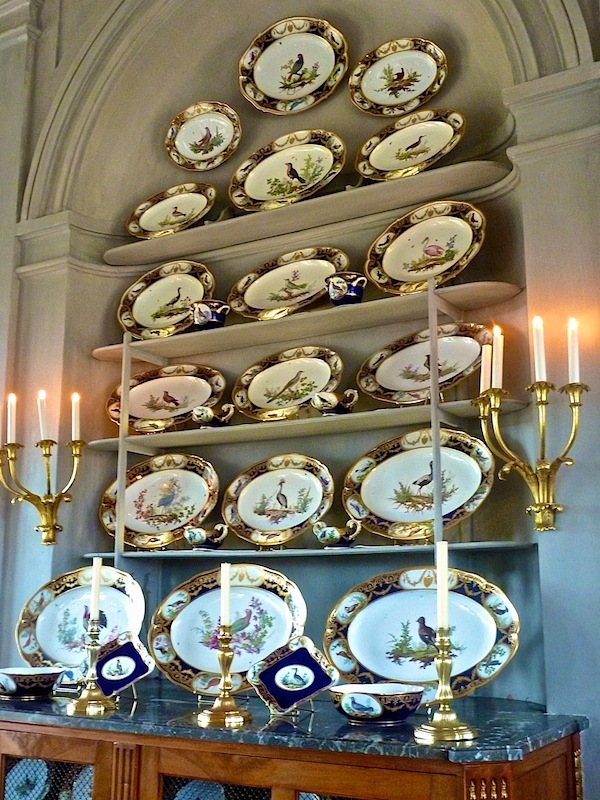 is the magnificent 18th century Sèvres dinner service. With an intricate dark blue and embellished gold border, each piece is meticulously hand painted with a different bird in its appropriate landscape. 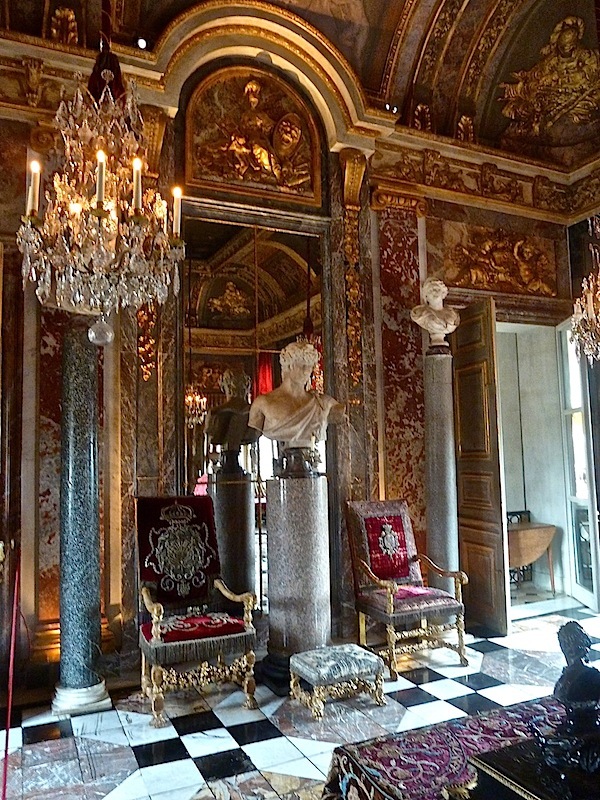 The sconces came from the King of Spain’s room at the Borghèse palace. 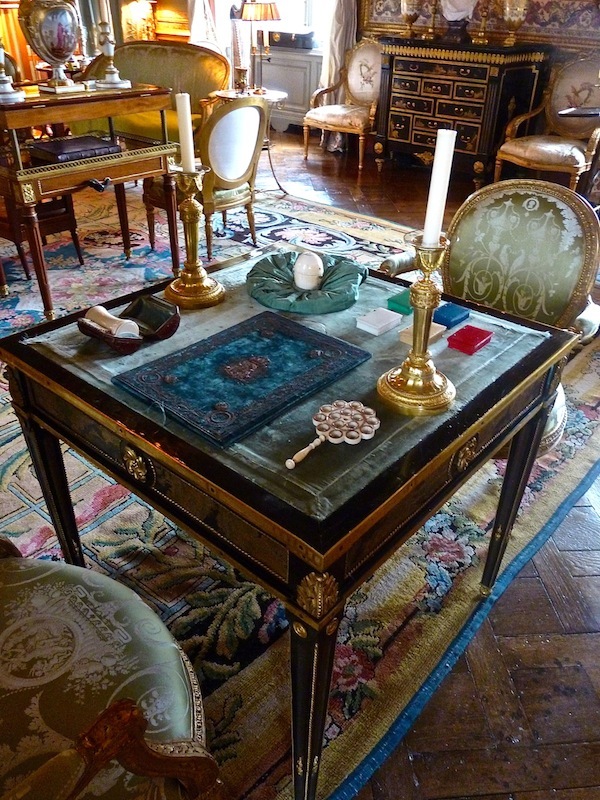 and a mechanical table by Pierre Garnier with original Momoyama Japanese lacquer panels, below. 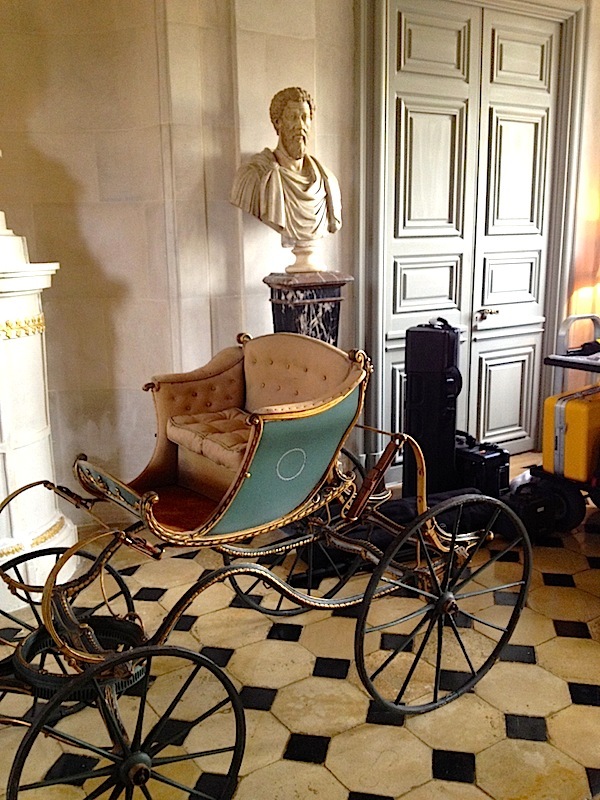 In the corner sits a decorative cart made for the ill dauphin so he could enjoy outdoor activities. 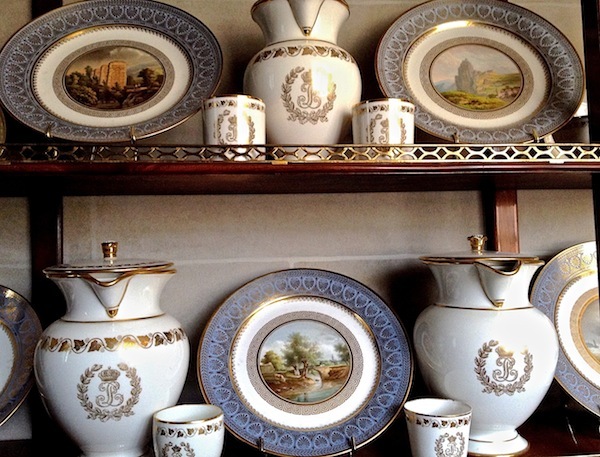 There are stories surrounding many of the antiques and it is incredible to think that Garcia has managed to accumulate such an abundance of royal treasures. He has said he has on occasion discovered valuable objects at the flea markets from dealers who didn’t realize what they had. It shows you how important it is to observe, learn and train your eye. 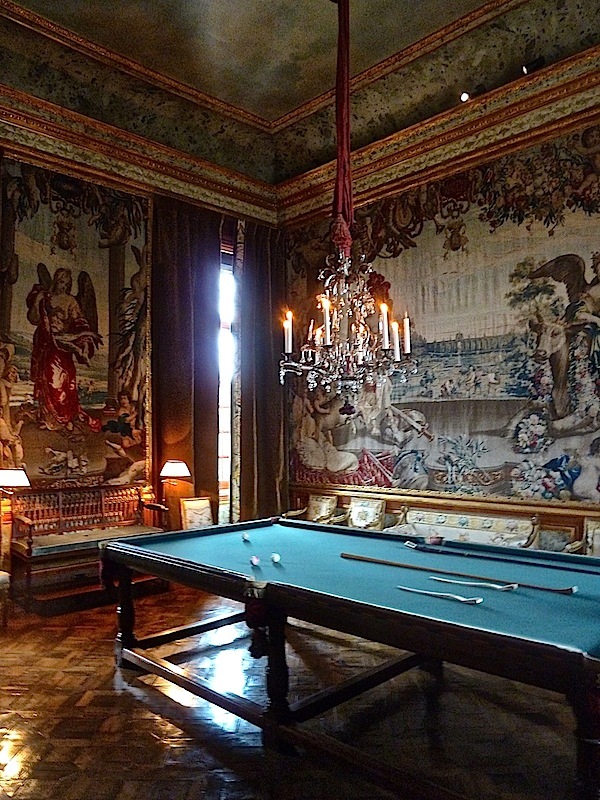 Pool was a very popular court game in the 17th and 18th centuries and the Billiard Room features an exceptional, rare copy of an ebony and Cuban mahogany Louis XIV table. 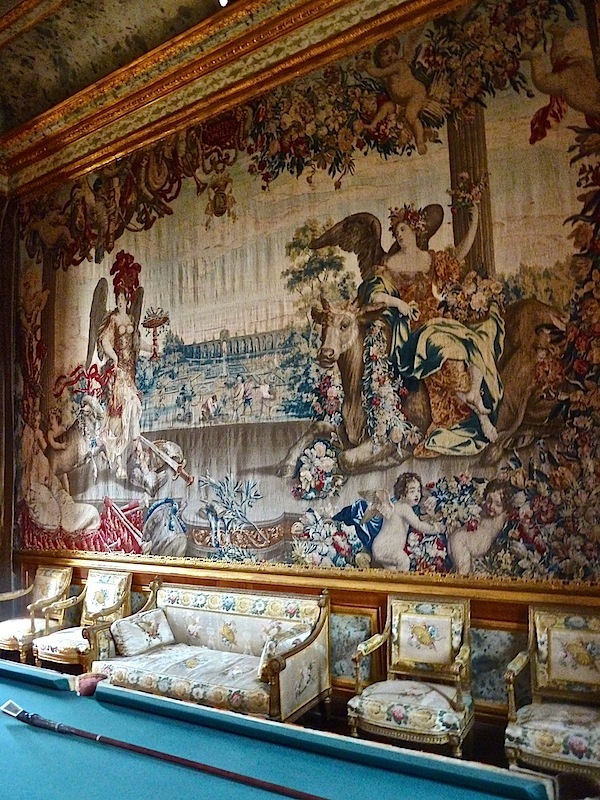 The tapestry is 17th century Belgian. 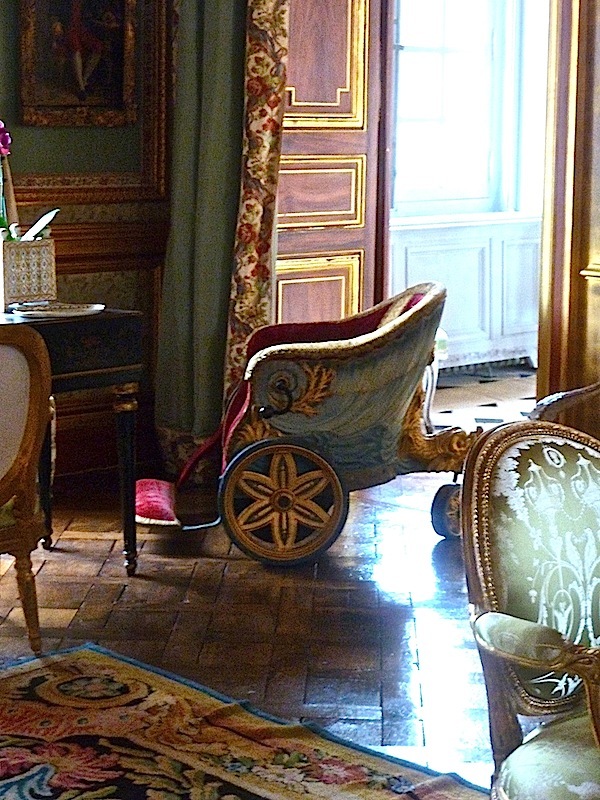 The gilded wood furniture is by Jacob, covered in an 18th century fabric. 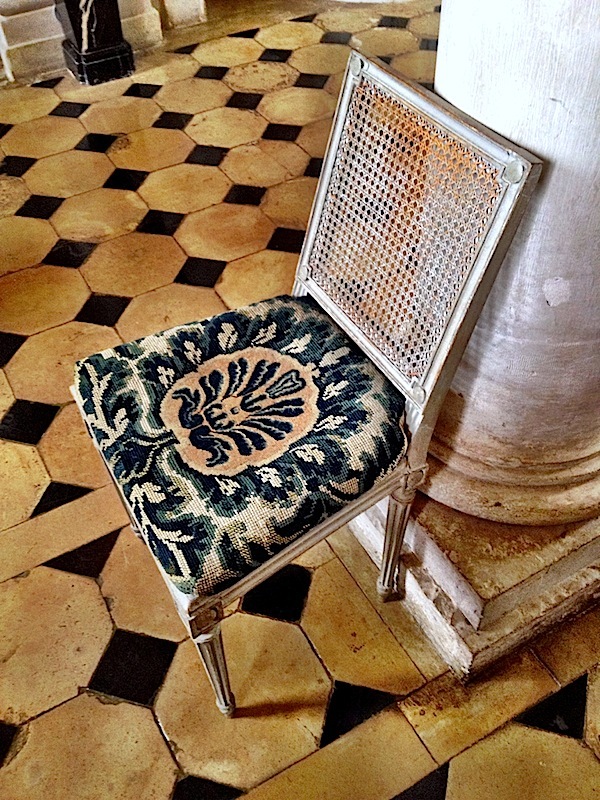 Stamped with the mark of the Château de Fontainebleau, the pieces are most likely from the queen’s Turkish boudoir. 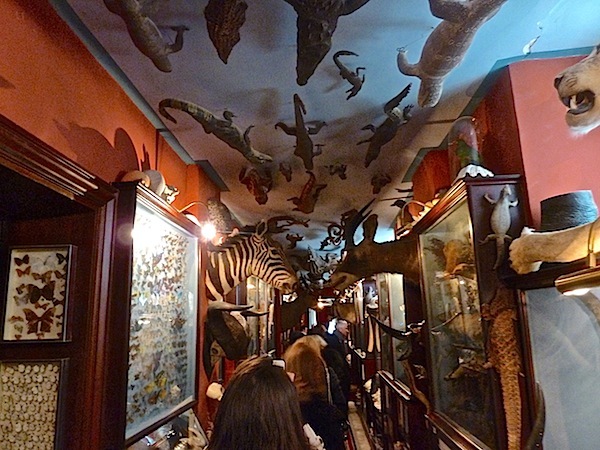 and the somewhat surreal hall of taxidermy. 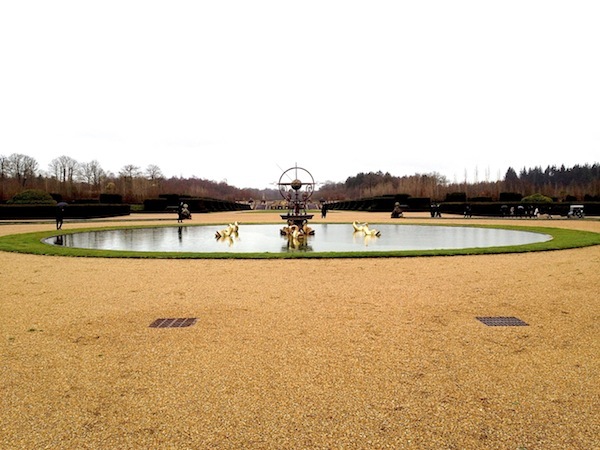 The gardens, encompassing almost 100 acres, are a contemporary creation with 17th century inspiration. 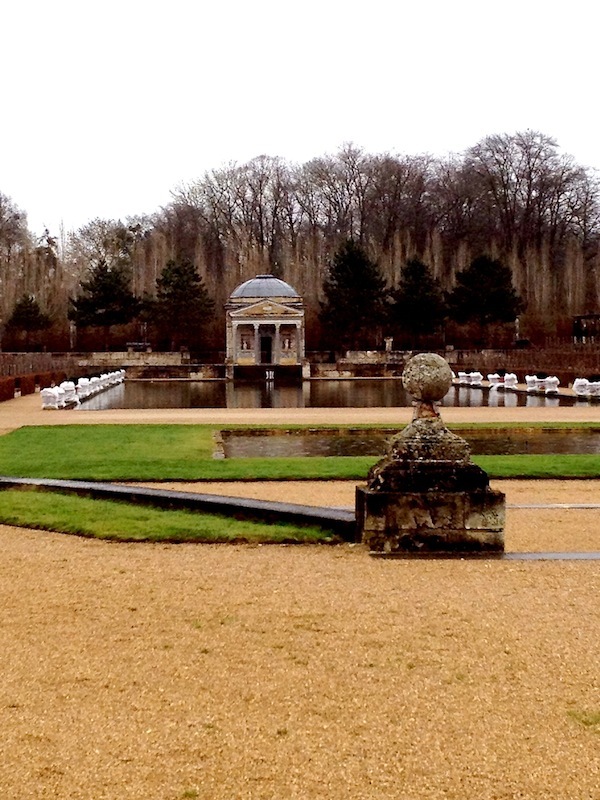 There is strong evidence to support the notion that Le Notre (designer of the gardens at Versailles) designed the original layout at Champ de Bataille. Garcia had not intended to recreate these but in 1993, a year after buying the property, a huge storm destroyed almost every tree on the estate. A rainy day prevented us from fully exploring outside but you could get the feel of head gardener Patrick Pottier’s creation connecting the material and spiritual worlds. Our final stop was the exotic private realm Mr. Garcia created for himself on the estate, built from Indian antiques and materials flown in for the project. With multiple out buildings, he can house a gaggle of guests. 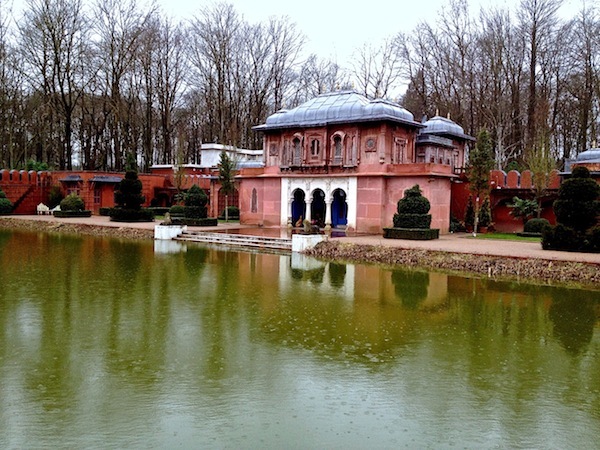 He described marvelous summer parties held here with a profusion of flowers, flowing refreshments and activities – one can only imagine! 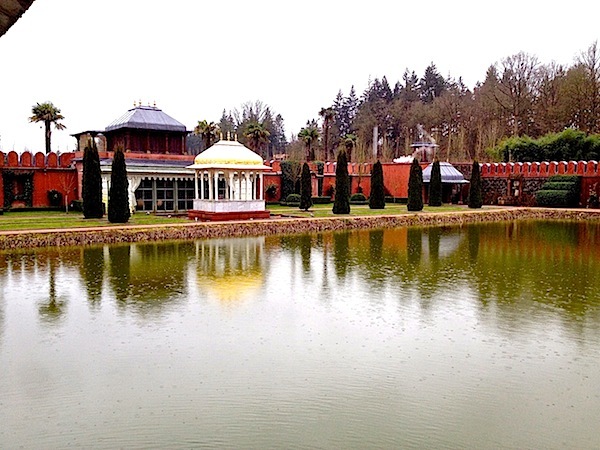 Champ de Bataille is a timeless testament to Garcia’s passions and perseverance. An expansive vision incorporating past and present and insightful collecting acumen have resulted in a restoration and decoration of palatial proportions. And it is fascinating to see how he distills his penchant for the past into his distinctive contemporary collections for Baker. 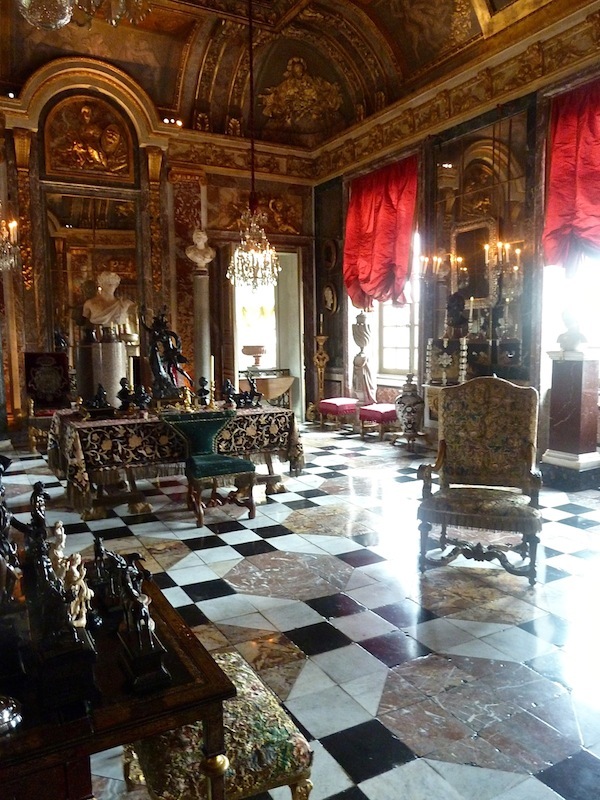 His exacting knowledge of the period has been illustrated not only here but in his design of the 2007 exhibition “When Silver Furnished Versailles” at the palace. 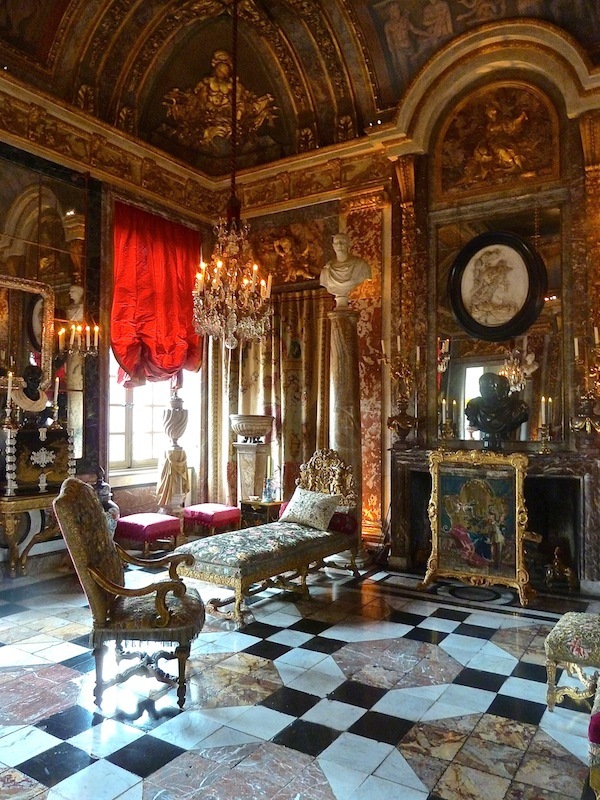 And he has been working with the Louvre on new spaces for their comprehensive collection of 18th century decorative arts due to open later this spring (more on that another time). For those intrigued by this introduction to the Château du Champ de Bataille, look for the monograph of the château due out later this spring. This entry posted in architecture, art, furniture, garden, history, interior design, travel. 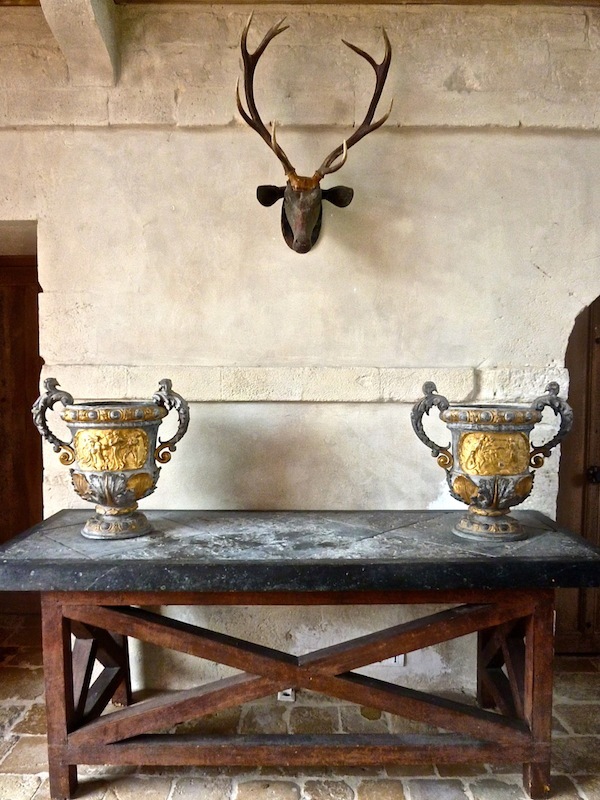 Entry Tags: antiques, Champ de Bataille, French Chateaux, interior design, Jacques Garcia Bookmark the permalink. Stacey, what an absolute delight this was, a true treat. Thank you so much for taking us along for all of it. I am very happy to see that a monograph will be published too. Absolutely magical. Everyone should read this piece! WOW thanks for the tour!!! 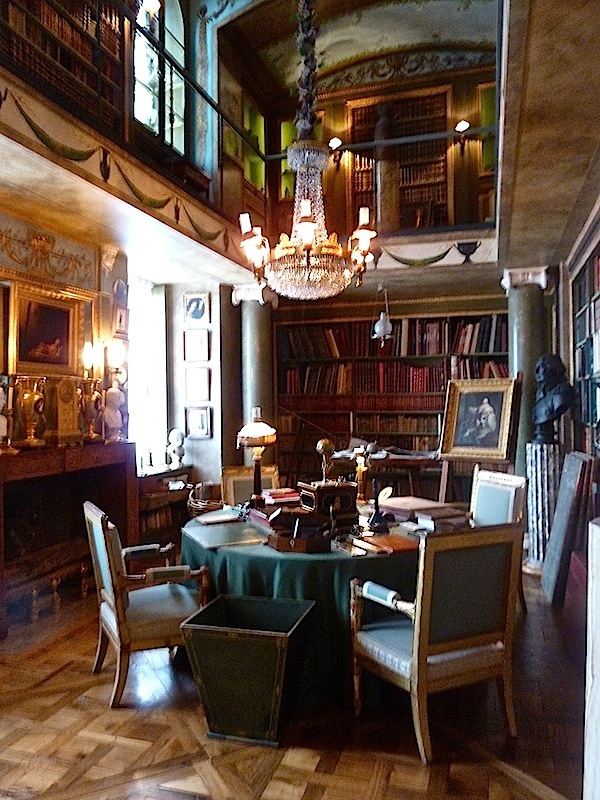 Fabulous post with fabulous writing…thanks for the virtual tour! 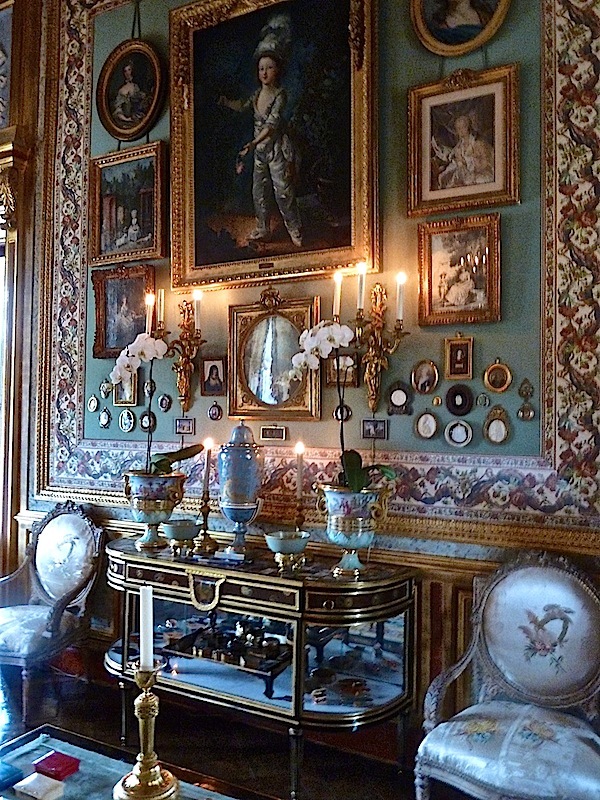 I am an interior decorator , also I buy & sell antique … I have enjoyed very much going through this splendid chateau . Thank u 4 sharing . HAD A MARVELLOUS TIME AND LEARNED SO VERY MUCH. 79 queries in 0.832 seconds.